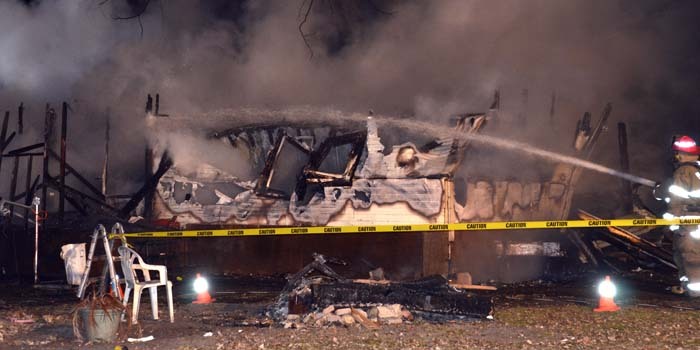 A fully engulfed trailer fire was reported at approximately 1:20 a.m. Saturday, Feb. 3, on South East Channel Road, Warsaw. 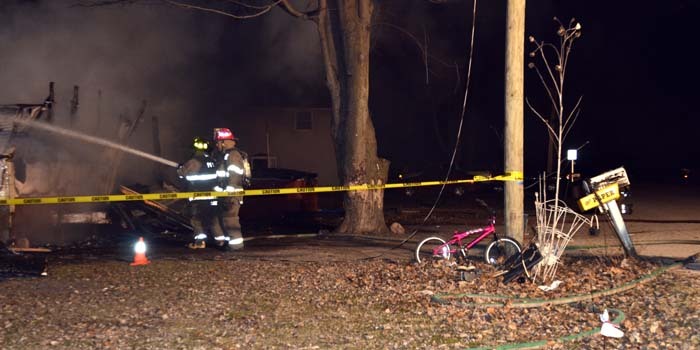 WARSAW — At approximately 1:20 a.m. Saturday, Feb. 3, Pierceton Fire Department was contacted regarding a fully engulfed trailer fire at 5831 South East Channel Road, Warsaw. Winona Lake and Claypool fire departments were contacted for tanker assists. Kosciusko County Sheriff’s Department and Lutheran EMS were also on scene. No further information is available at this time. Firemen at the scene of a trailer fire on SE Channel Road. 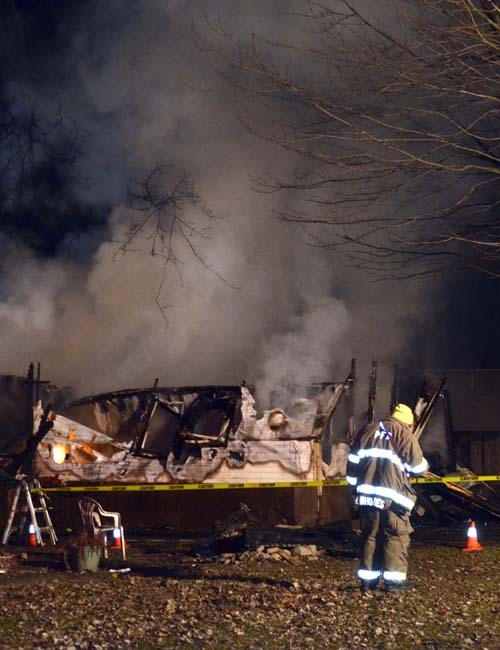 The scene of the fire at 5831 SE Channel Road early Saturday morning, Feb. 3.